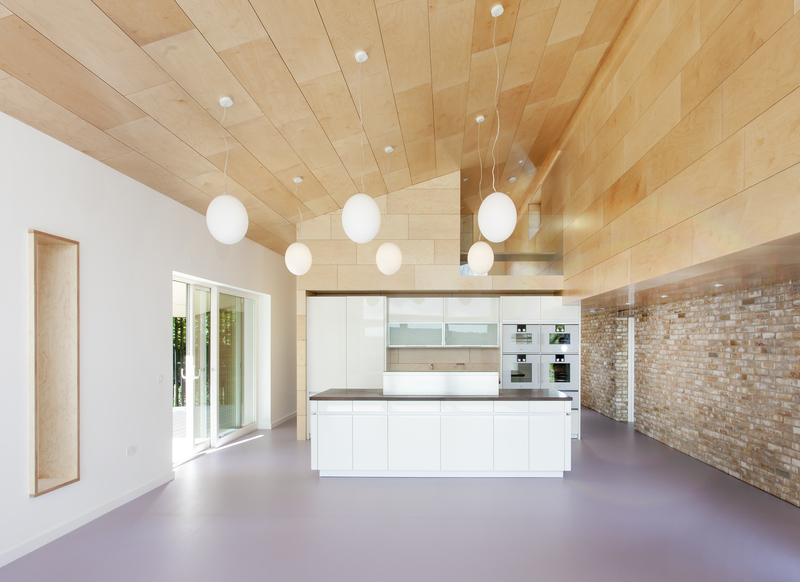 A private self-build family residence designed to Passivhaus standards. 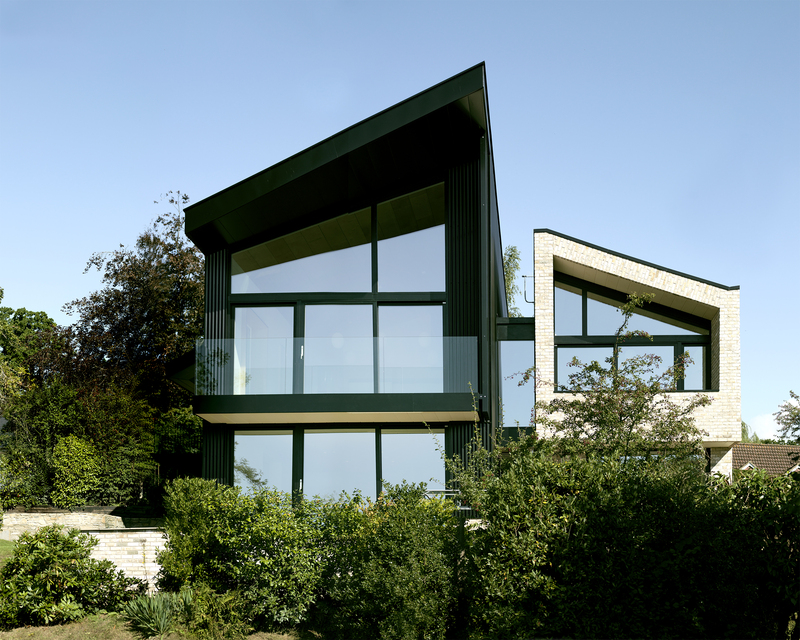 Commissioned to design this private family home, LTS were initially challenged by an ambitious brief to create an exceptional space on a relatively modest budget with high sustainability targets and the aspiration of an ‘energy plus’ house. 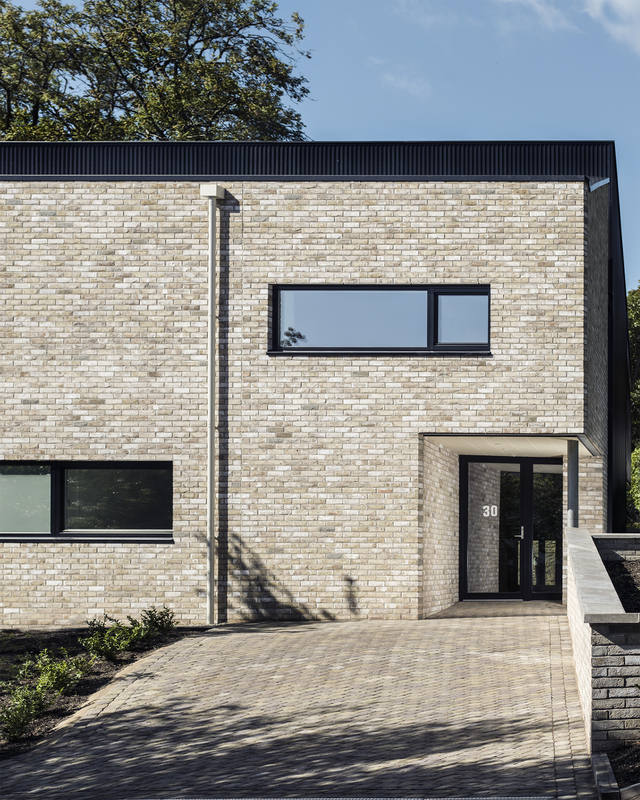 Equipped with a photovoltaic roof, triple glazed windows, rain and grey water recycling, this three bedroom home designed to Passivhaus standards, is our first ‘energy plus’ residence. The house structure is fabricated from SIPS panels and was erected in a mere ten days. The walls have an incredibly high U-Value of 0.09 W/m2 which ensures that no heating system is required. The accommodation of the house is organised into two distinct halves; one for living and the other sleeping. 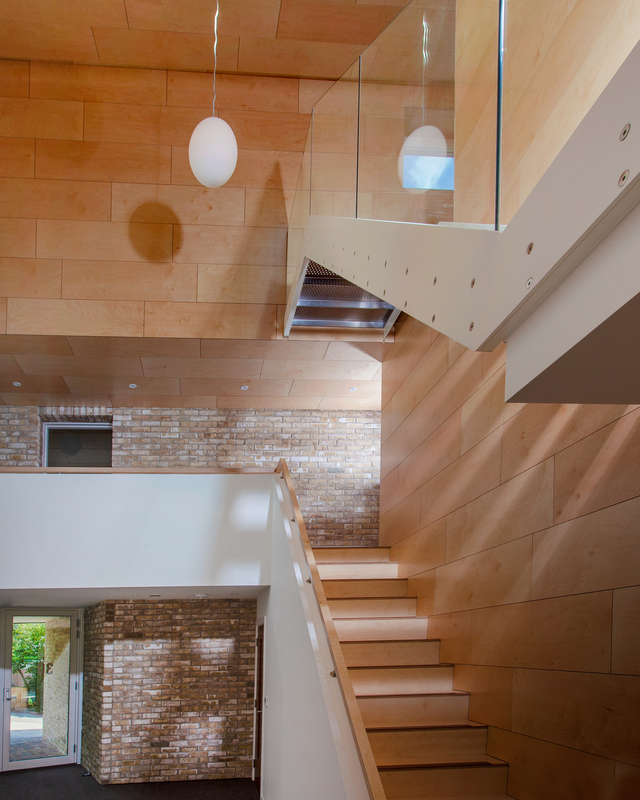 The ‘sleeping’ block, essentially private and inward looking by design, is housed within a masonry shell and holds all the bedrooms and bathrooms. Strategically placed windows respond to the internal requirements of the rooms while also maintaining privacy. 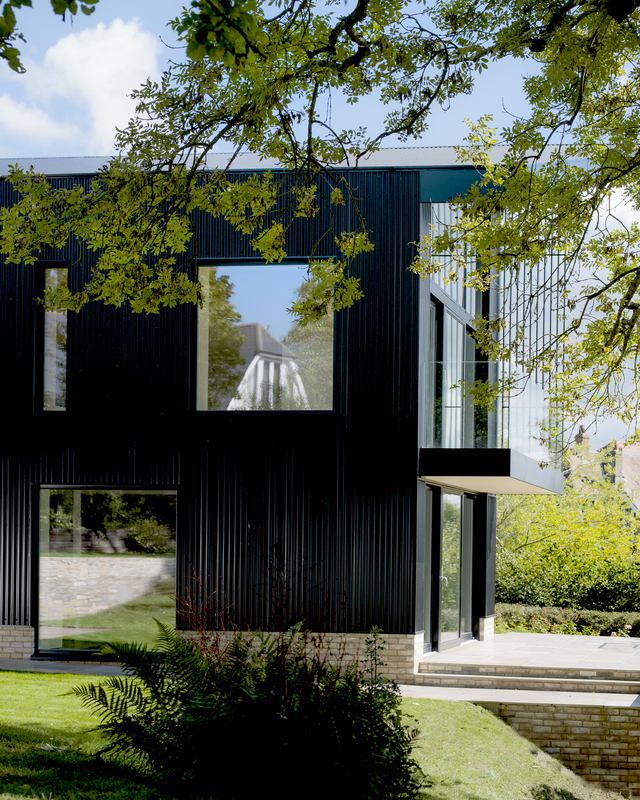 The ‘living’ block, gregarious and outward-looking by design, is housed within a black-clad shell of profiled steel, evocative of the various agricultural barns which surround it. 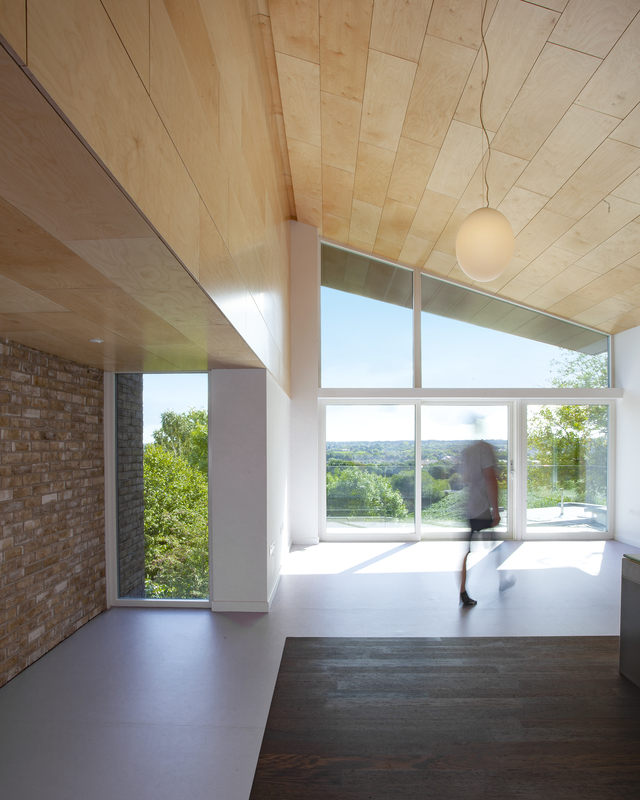 The fenestration here is much more generous and opens up considerably to the south and west, taking in both the commanding view down the valley while welcoming in the west winter sunlight. An outdoor room, complete with fireplace sits close to the garden at the western edge.